LAS VEGAS, April 06, 2019 (GLOBE NEWSWIRE) — AVID CONNECT – Avid® (Nasdaq: AVID) today announced Media Composer ®, its flagship video editing system, has been redesigned and reimagined for today’s—and tomorrow’s—generation of media makers. Unveiled at Connect 2019, the industry’s most powerful gathering of media and entertainment users, the all-new Media Composer 2019 will be in the spotlight starting Monday, April 8 at the NAB Show in Avid’s booth (#SU801). Read all of Avid’s Connect 2019 and NAB news at the Avid Newsroom. With Media Composer 2019, an editor can go from first cut to delivery without ever leaving the application. Whether they are a professional editor, freelancer or someone just starting out, Media Composer 2019 inspires creative storytelling. The Media Composer family adds Media Composer | Enterprise for post-production, broadcast, media education and other larger production teams. Media Composer | Enterprise is the industry’s first role-specific video editing and finishing solution. Large production teams now have the ability to customize the interface and tailor workspaces for different job roles, providing end users access only to the tools and functions they need. This capability gives teams better focus so they can complete jobs faster and with fewer mistakes. Media Composer | Enterprise also integrates with Editorial Management 2019 to deliver collaborative workflow innovation for post production and enables creative teams to stay in sync. 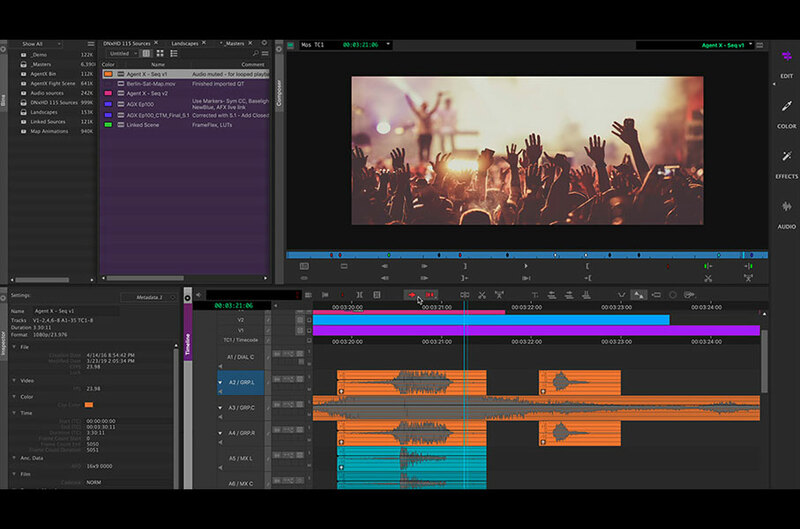 Avid today also announced Media Composer | Distributed Processing, an add-on option that shortens turnaround times and accelerates post production by sharing the media processing load. Tasks that previously took hours can now be done in minutes, strengthening post facilities’ competitive edge while delivering high-quality programming. Media Composer | Distributed Processing also offloads complex processing tasks when working in today’s emerging high resolution and HDR media-rich worlds. Media Composer 2019 will be available in late spring for all of its models: Media Composer | First, Media Composer, Media Composer | Ultimate and Media Composer | Enterprise. For a full list of Media Composer features and benefits visit, www.avid.com/media-composer.